Life has been busy (really, really busy). I feel like that’s been my motto these past few years. I’m sure many of you can relate. My kids are very active, participating in clubs, sports, travel ball, dance, cheer, and general life outside of school. My husband and I are building our dream home, working, and trying to enjoy this whirlwind of a year. Sometimes I wish the days would slow down just a bit. Life is moving so fast that I can’t catch my breath. Once the new house is complete and we finally get moved in, I hope to take some time off to relax and enjoy a slower pace of life. I long for the simple things like taking a bubble bath, reading a good book, sipping a cup of hot tea, going out to dinner, or putting my toes in the sand, without the worry of another deadline, project, or appointment. I long to just be. For now, I will continue my journey in the fast lane, and enjoy as much as I can. The current state of our new home. 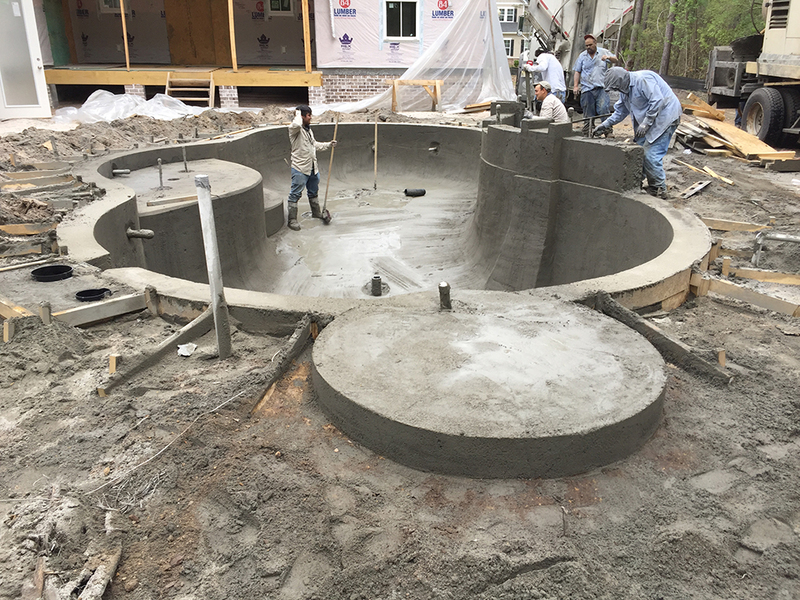 The gunite has been poured in the pool, the brick has been laid, and the drywall is in progress. We are still hoping to close on the house by the beginning of July. I’m not sure that will happen, but that’s the goal. 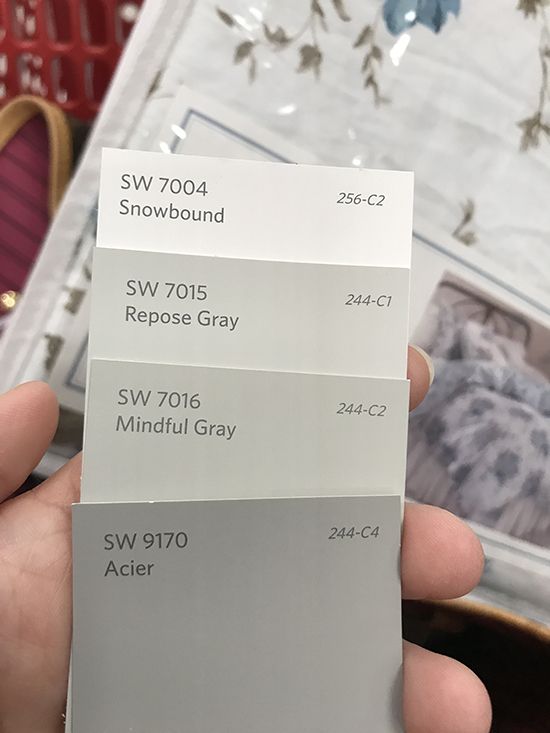 Here are the paint colors for our house. The exterior and the trim work are snowbound. The main part of the house is repose gray. The master bedroom and keeping room are mindful gray, and the shutters are acier. Our current home. 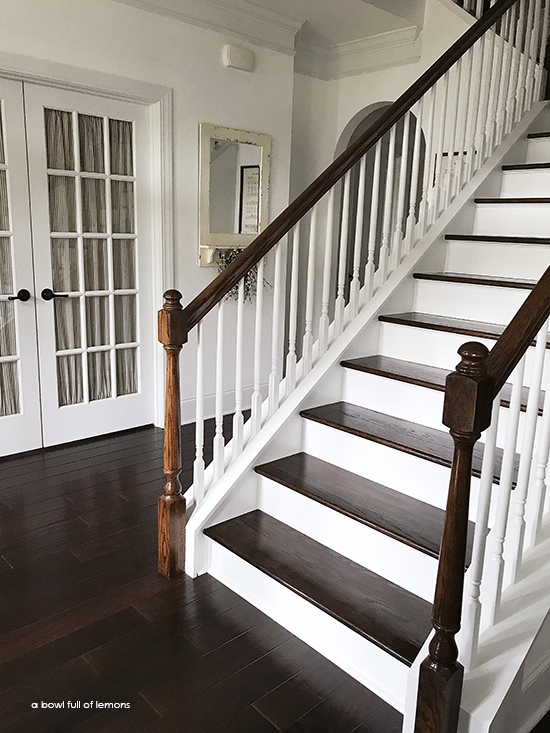 I’ve been cleaning, decluttering, packing, caulking, and painting, in preparation for getting our house ready to go on the market. We also hired a contractor to rip out the carpet and install wooden stairs. The carpet is finally gone! (Please don’t ask me how they did it because I honestly couldn’t tell you). Doesn’t it look so much better? Down time. Is there such a thing? 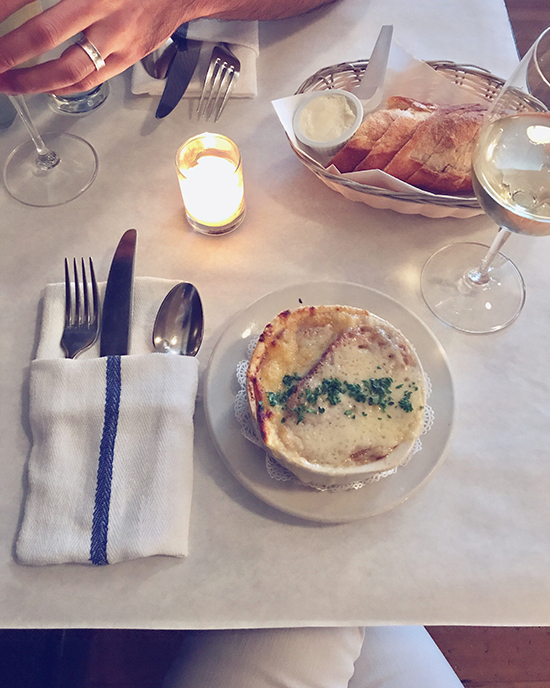 My husband and I celebrated our 21st anniversary last week at a divine French restaurant in historic Charleston, SC. Family Life. My son is on a travel basketball team which means we travel out of town most weekends during the spring. 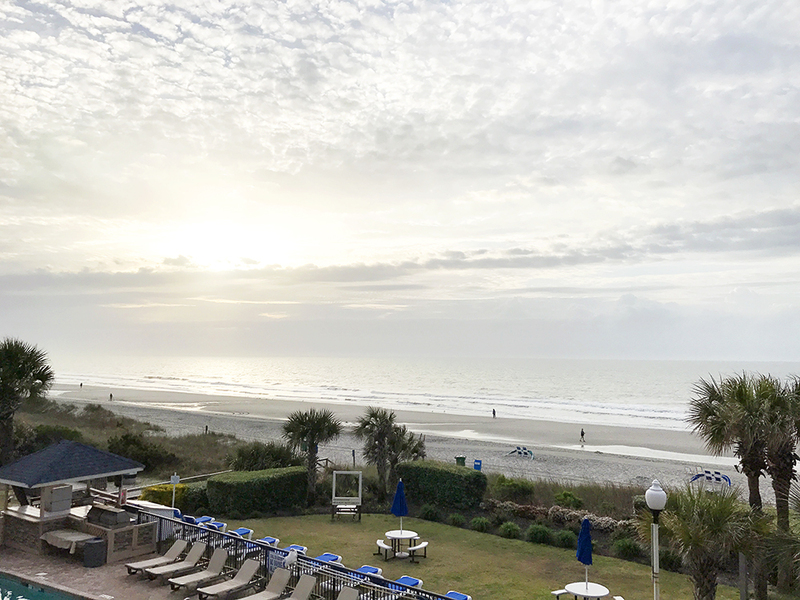 This past weekend, we were in Myrtle Beach. Our hotel room was on the beach, so we got to enjoy some pretty amazing sunrises. School will be out for summer vacation very soon. I’m not sure I’m ready for that yet, but at least the kids can help pack their rooms up. I have a big announcement coming to the blog soon, so be watching for that. For now, be well and enjoy this beautiful life we get to partake in, whether it’s in the fast lane with me or on the beach with your toes in the sand.